I found this interesting Pentel Energel strolling the aisles at Staples about a month ago and added it to my basket without hesitation, especially for just $5.95. The barrel is completely metal, right down to the grip. I thought the metal grip ridges were going to be a problem, but I didn't notice them once I got writing. I did have a minor issue with the clickity-click sound when the pen hits the page. It's hard for me to explain in words, but you all know what I am talking about. It's like a rattle when writing, possibly due to a small gap between the tip and the barrel opening. Not a deal-breaker, but it was noticeable. 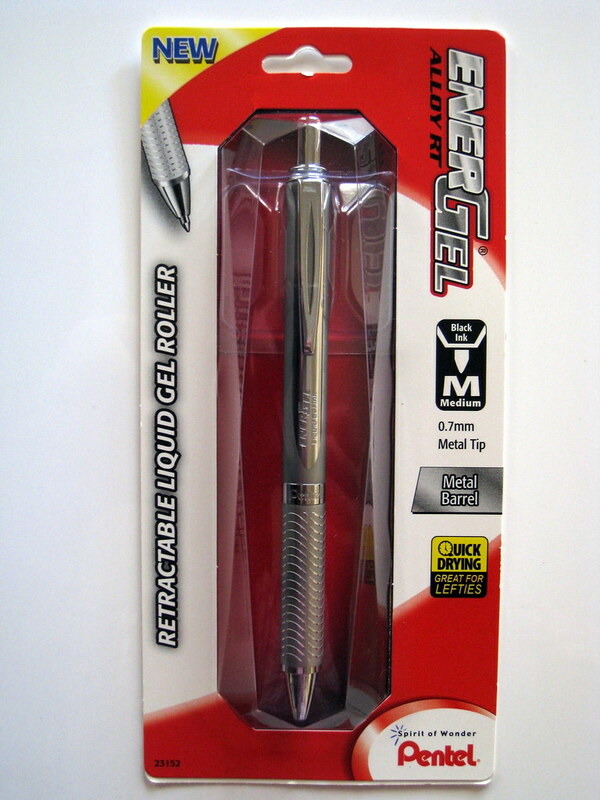 The biggest selling point of the Energel line is how well the pen writes - the ink flows fast, smooth, and consistent. 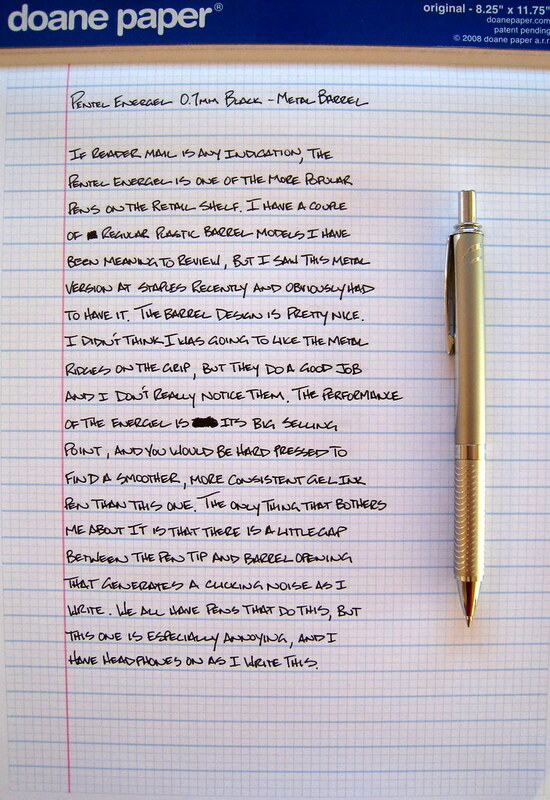 This is why the Energel is so popular, and now fans of the pen have another model to add to their collection. Posted on December 3, 2008 by Brad Dowdy.